technology could replace passports altogether. likely to make this prediction than women (40 percent vs. 29 percent). that Americans will choose “Eco-Travel” destinations for vacations. guests through 24/7 virtual concierge services. the ocean or taking a zip line to your treehouse will be possible. 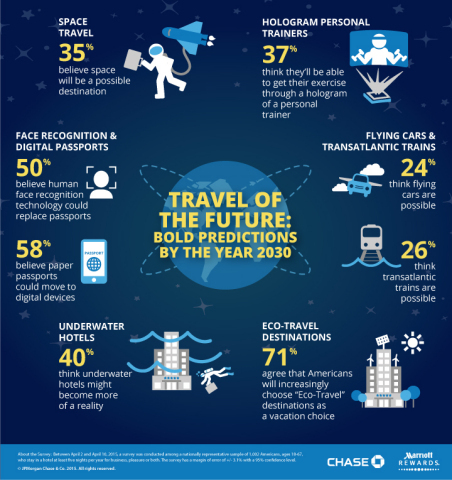 will become travel options by 2030.
and for the latest company news, visit www.marriottnewscenter.com.